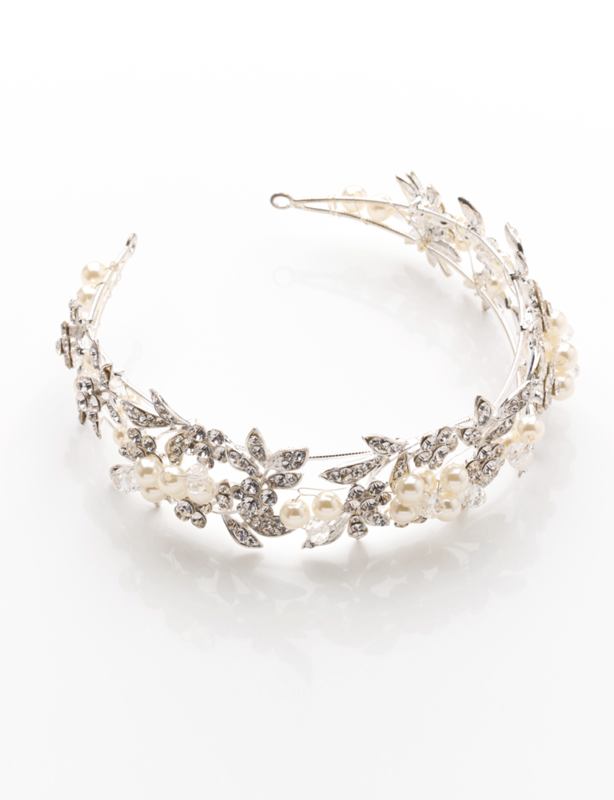 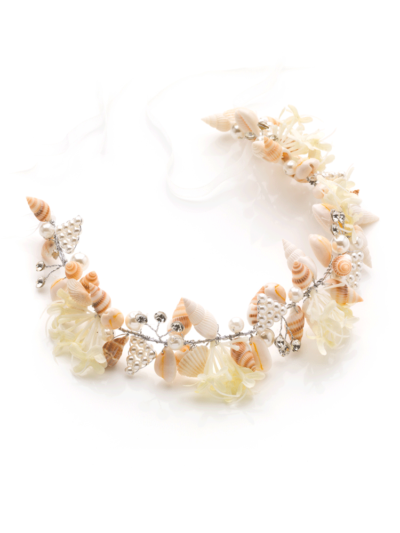 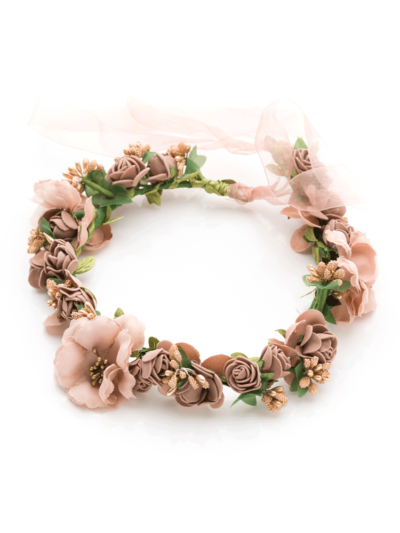 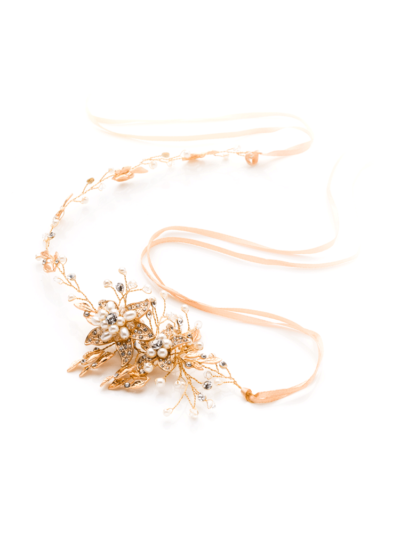 This stunning clear rhinestine headband with pearls detail features a gorgeous leaf design,a trully dazzling headpiece. 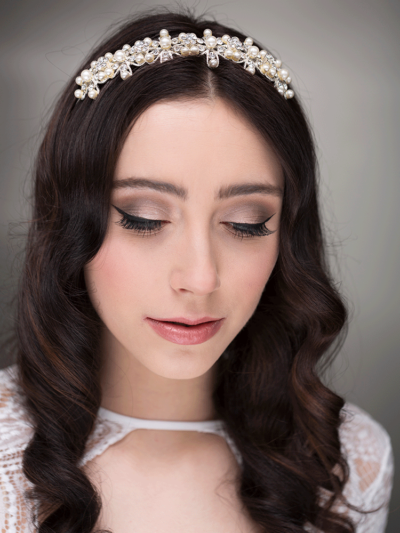 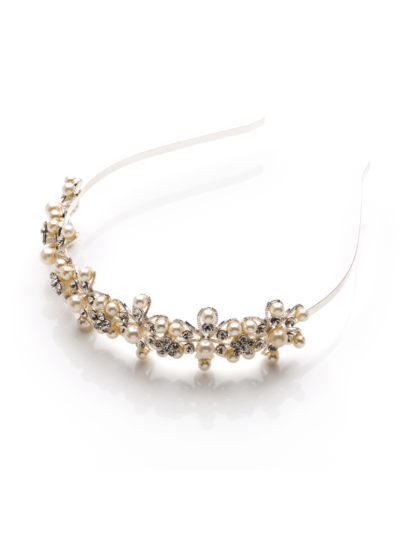 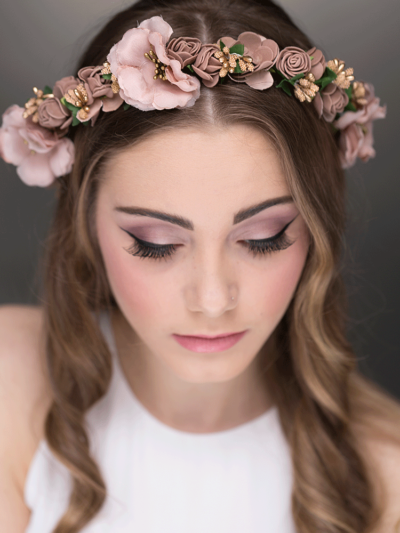 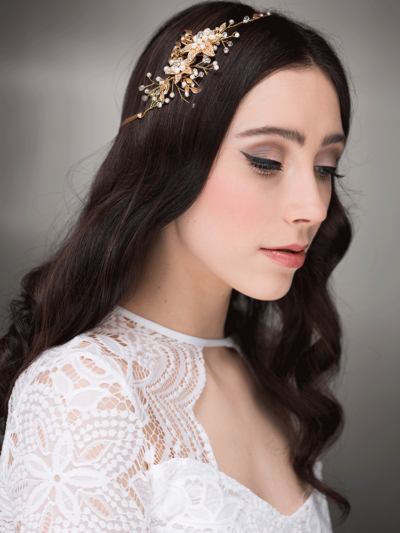 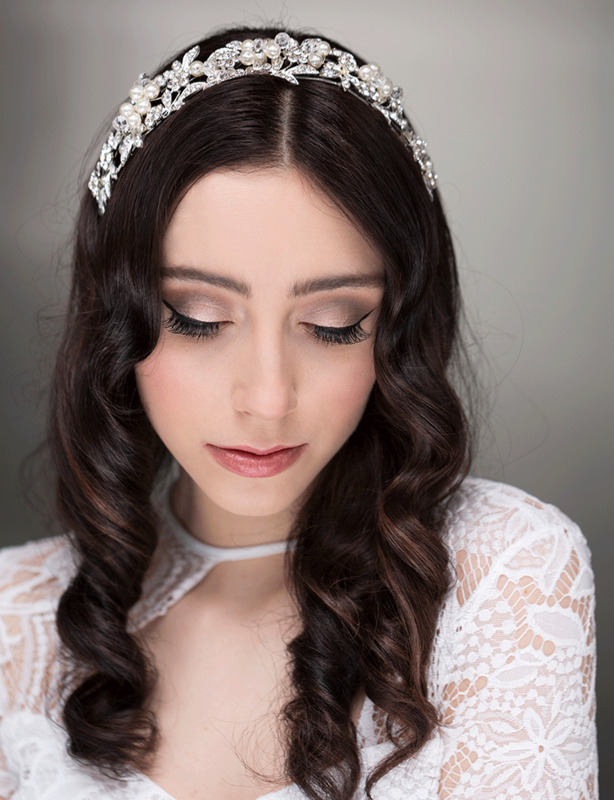 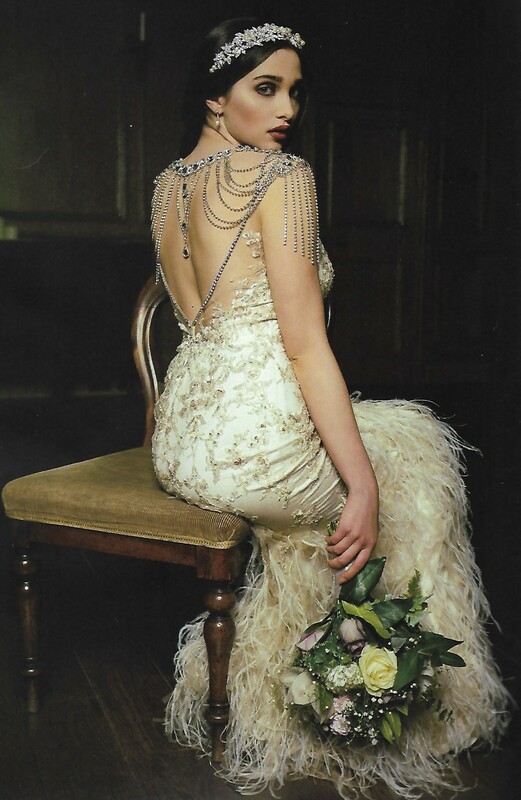 Our Amelia headpiece is on flexible wire and can be worn in a variety of bridal styles. 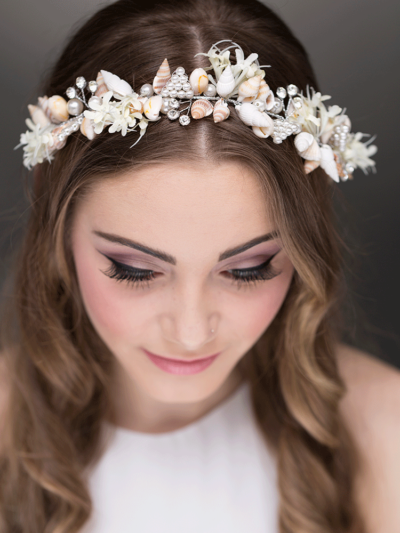 Clear crystals and ivory pearls are such a timeless combination.